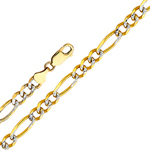 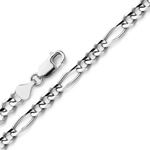 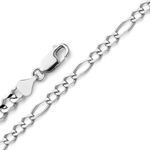 Figaro chains are an integral ingredient that is always a success. 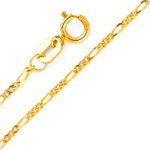 Superb quality 14 karat gold is precision crafted to create stunning, versatile and durable figaro chains no man or woman should be without. 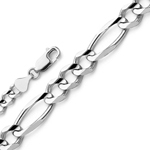 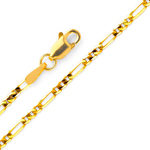 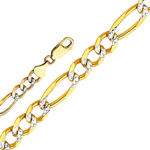 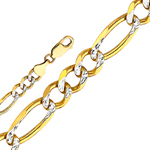 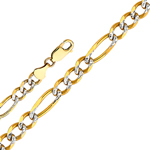 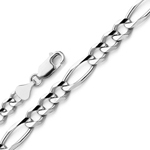 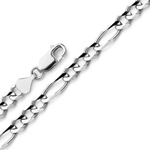 Gold figaro chains are a fantastic jewelry gifts for men, women, and children of all ages and for any occasion, because of their versatility and durability. 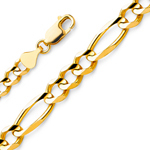 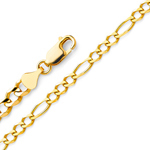 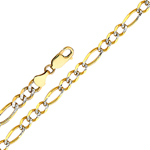 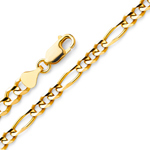 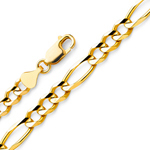 The perfect blend of sophistication and versatility, a 14k gold figaro ficonucci chain is just what you need to make a lasting impression. 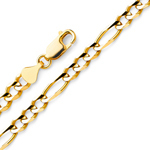 Worn alone mix and matched with other gold chains, or paired with any of our fantastic personalized gold nameplates, gold pendants or gold charms, a 14k gold figaro chain add the finishing touch to any outfit and can be worn from day into evening.